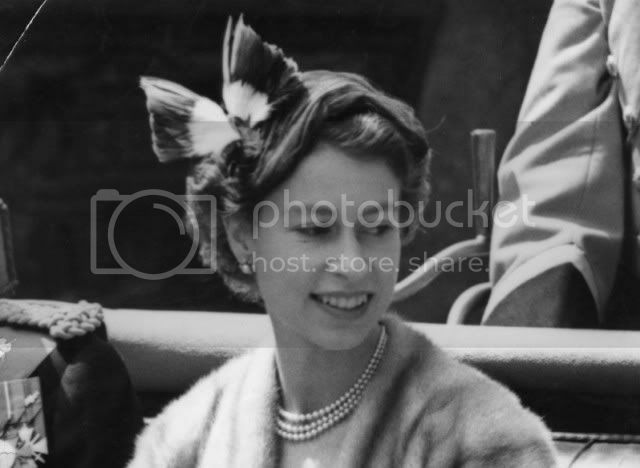 In honor of Her Diamond Jubilee weekend, I thought that it would be perfect to highlight the exquisite style of the stunningly beautiful Queen Elizabeth II. 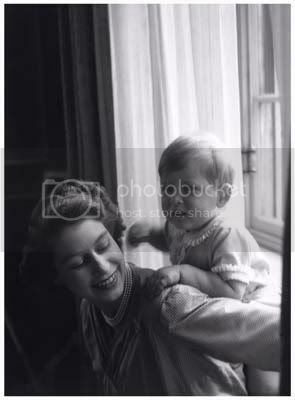 I usually do a short biography of my Friday Fashionistas but Her Majesty doesn't require any sort of introduction on this humble blog! 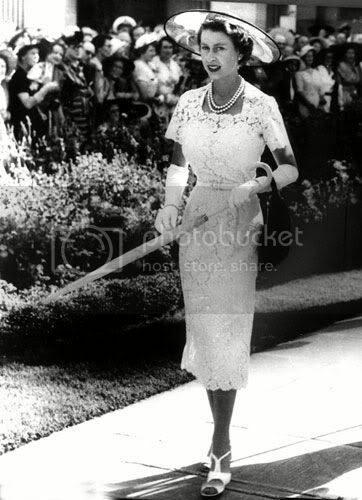 Instead, enjoy some lovely photos of the Queen's beautiful vintage ensembles. 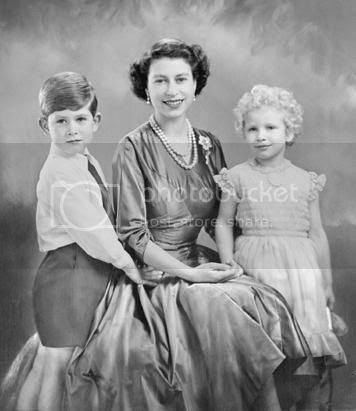 This weekend, Her Majesty celebrates 60 years on the throne. I hope that all of you gals across the pond have a wonderful time at the various Jubilee events! 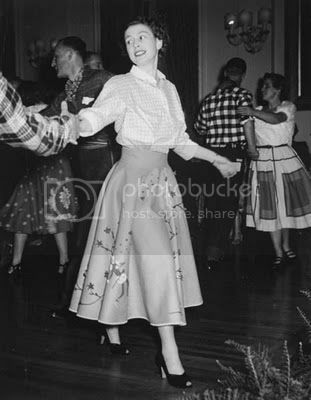 Love the skirt in the dancing photo! Oh how fitting for it to be the Queen today! That lace dress is SO AWESOME! Even today she's a fabulously dressed lady. Unfortunately if/when we Americans elect a woman for president, she'd probably just be in a bunch of drab pantsuits all the time. The last then/now photo is SO sweet! I ADORE the last photo! What a handsome couple.... oh and I want her belted jacket! And what about the lace dress and what a figure- WOW! Lovely photos! Am planning a Jubilee event, lots of cooking and that to do, looking forward to it all I think she is an amazing woman in a very very tough role. Love looking at the old photos and vintage styles, tempted to dress with a vintage twist myself! Her style has changed so much and yet not at all. Clasic! What amazing pictures. Indeed the last one is very cute. I have to admit I never really paid much attention to the English royal family since recently. Well, we do have our own. Aww, I love the last one. 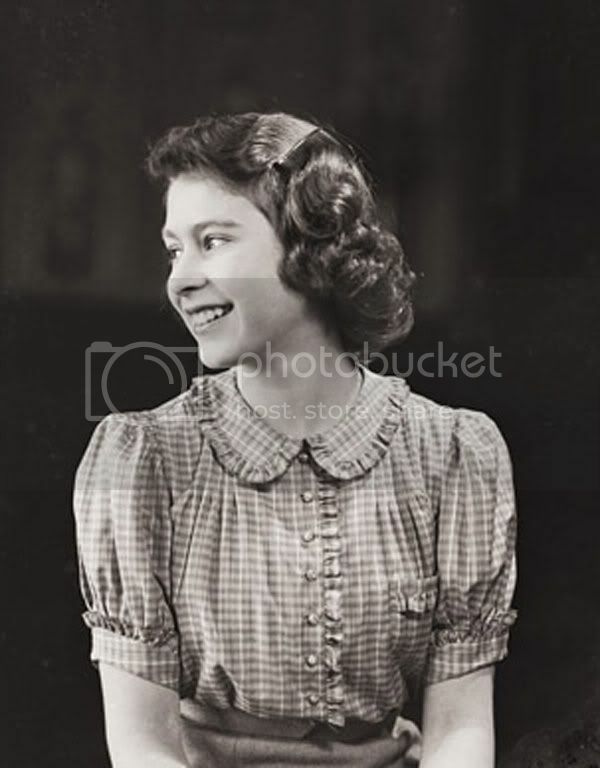 Though I'd certainly seen many earlier photos of her over the years, it wasn't until I first heard my husband say a few years ago that he thought the Queen was good looking in her day, that made me stop and reexamine snaps of her. He was right, she did (and does) a certain air of beauty and elegance to her, which makes it easy to see why she's been been an icon for so many decades now. Marvelous roundup of photos, sweet Brittany. Thank you! Aww I love that last photo of her! I've had a great time celebrating the Jubilee this weekend. My Aunt had a garden party on sunday and on Saturday I went to Portsmouth where they held a free event "Victorious Vintage". It was a really fab day. I love the pictures you've posted, she was, and still is, beautiful. Sigh. All the Jubilee events seem like so much fun! Do you happen to have the dates for these? I especially like the one with the feather fascintor thingie in her hair. 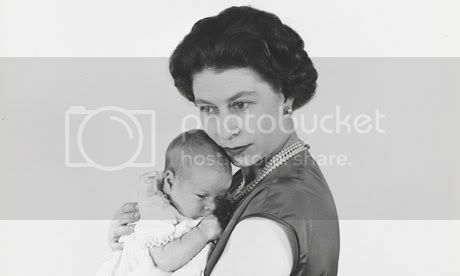 Saw a documentary of HRH on Friday for the jubilee which was a compilation of home videos. The video of her coronation behind the scenes was amazing - her dress just sparkled.